Santa Cruz parents have proudly supported our all-volunteer PTA since 1913. We welcome parents, grandparents, guardians and alumni to join the PTA. We meet the 2nd Monday of the month, September through June, 6:30pm at the Santa Cruz High School Library. Our annual membership dues are $5, any amount above and beyond is graciously considered a donation to the PTA general fund. 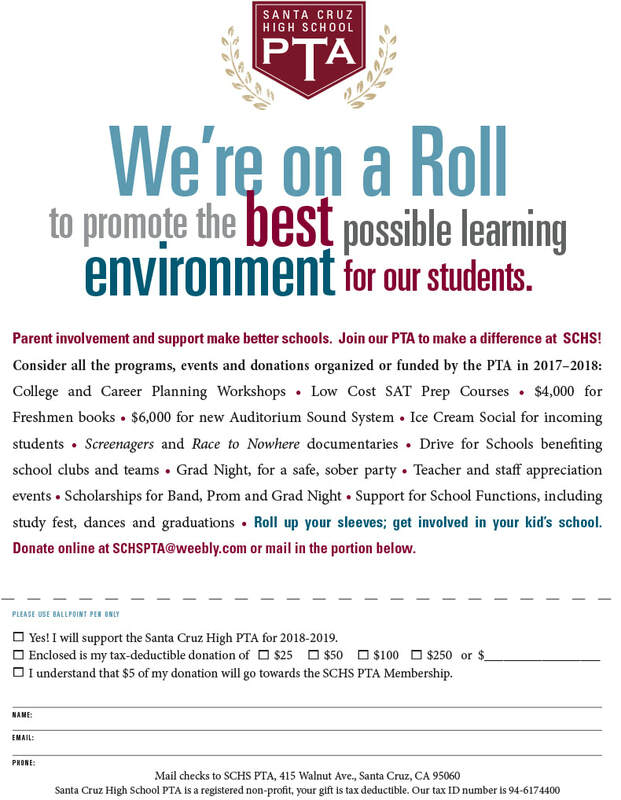 Please join via the "Donate" button below, or print, fill out and mail in the attached form to SCHS PTA.